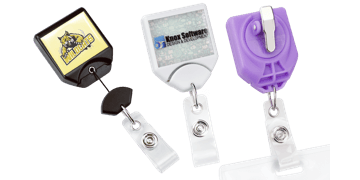 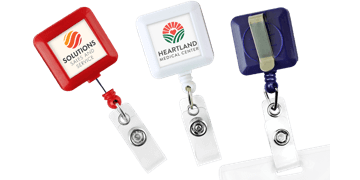 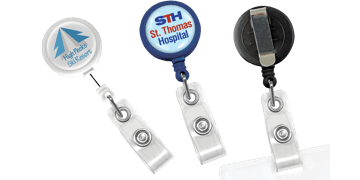 Increase brand recognition whilse ensuring that your ID cards are easily accessible with our custom badge reels. 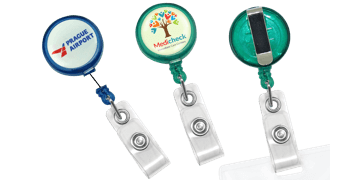 Ideal for corporate or retail enviroments, custom badge reels can be used as a promotional gift or for your staff. 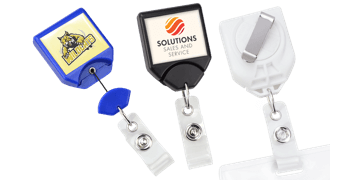 Use our online designer tool to customise with your company logo and branding.